Did negligent security contribute to this senseless loss and are justice and compensation available to the victim’s family? A 54-year-old man was shot and killed outside of his Sunnyside apartment Wednesday night, December 12, 2018. According to The Houston Chronicle, gunfire erupted shortly before 11 p.m. “in the 9400 block of Coffee Street.” Responding officers saw a gunman “fleeing the apartment,” but were unable ” to find him after searching with a helicopter and K-9 unit.” The incident raises grave questions over complex security. Apartment residents and guests have a right to feel safe and secure while on the premises. The Murray Law Firm questions the level of security provided at the apartment complex and whether this tragedy may have been prevented. How did the gunman gain entry to the complex? 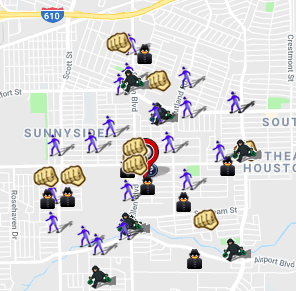 Recent crime reports, from Spotcrime.com, reveal a number of assaults and robberies in the surrounding area. What additional security measures, such as gated-entry, fencing, monitored surveillance cameras, bright lighting, and visible security patrols, were implemented by the apartment complex owner and management to protect residents and deter such crime? Darian Bolden Killed in Houston Apartment Shooting; Was This Tragedy Preventable? Could the tragic loss of this young man have been prevented and are justice and compensation available to Mr. Bolden’s family? 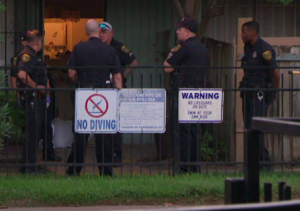 Security measures are under scrutiny after 18-year-old Darian Bolden was shot and killed “at the Peninsula Apartments in the 4800 block of West Fuqua Street” Tuesday night, October 23, 2018, according to The Houston Chronicle. 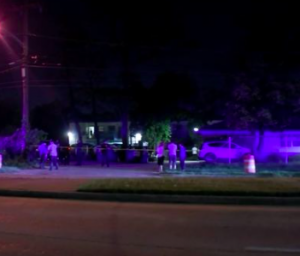 Witnesses told ABC 13 they heard “more than 12 shots fired” during “an exchange of gunfire between different people.” Responding officers discovered the teenage victim suffering from gunshot wounds in the parking lot. Mr. Bolden was transported to Texas Children’s Hospital, where he tragically succumbed to fatal injuries. Have there been prior incidents of violence on or near property? What security measures, such as gated-entry, fencing, bright lighting, surveillance cameras, and visible security patrols, were in place to deter crime and protect Darian Bolden at the time of the shooting? Generally, property owners are required to protect all those legally on the premises from any foreseeable harm. Should the facts of this matter reveal that the property owner or management failed to provide adequate security to protect those on its premises, Darian Bolden’s family may seek justice and elect to pursue legal claims for his wrongful death. 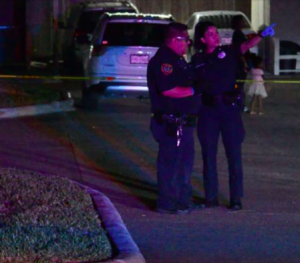 Yunier Perez Cobian Killed in Houston Apartment Shooting; Fatal Security Lapse? Could this tragic Houston apartment shooting have been prevented and are justice and compensation available to Mr. Cobian’s family? 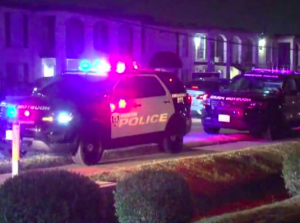 Security measures are in question after 35-year-old Yunier Perez Cobian was killed in a southwest Houston apartment complex Wednesday, October 9, 2018. 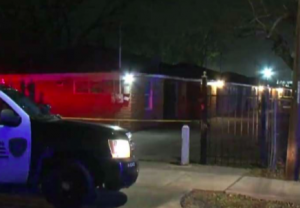 According to KPRC 2, gunfire erupted “about 6:05 p.m. at 6231 Westward Street, near Hillcroft Avenue.” Mr. Cobian was discovered “in the open doorway of his apartment” with multiple gunshot wounds, per Houston Chronicle reports. Tragically, he succumbed to fatal injuries at the scene. Have there been prior incidents of violence on or near property? What security measures, such as gated-entry, fencing, surveillance cameras, and security patrols, were in place to deter crime and protect Yunier Perez Cobian at the time of the shooting? Generally, property owners are required to protect all those legally on the premises from any foreseeable harm. Should the facts of this matter reveal that the property owner or management failed to provide adequate security to protect those on its premises, Yunier Perez Cobian’s family may seek justice and elect to pursue legal claims for his wrongful death. Could the unconscionable shooting of Adriana Ruiz have been prevented and are justice and compensation available to the young victim? Security measures are in question after 12-year-old Adriana Ruiz was shot and injured in her Houston apartment home Friday night, October 5, 2018. According to WKRN News, the heroic young victim gathered her siblings “in a back room” when gunfire erupted in “the courtyard of the apartment complex.” Sadly, Miss Ruiz was struck when “[o]ne of the bullets went through a wall and hit [her] in the abdomen.” She was transported to Texas Children’s Hospital with injuries. “Houston Police Assistant Chief Bill Dobbins lauded Adriana for protecting the other children, whose ages ranged from 4 to 10,” per Houston Chronicle reports. Her mother was apparently in the apartment complex laundry room when the shooting occurred. Apartment residents and guests have a right to feel safe and secure while on the premises. The Murray Law Firm questions the level of security provided on the property and whether this senseless shooting may have been prevented. How did the assailants gain entry to the property? What security measures, such as gated-entry, fencing, surveillance cameras, and security patrols, were in place to deter crime and protect Miss Ruiz at the time of the shooting? Generally, property owners are required to protect all those legally on the premises from any foreseeable harm. Should the facts of this matter reveal that the apartment complex owner or management failed to provide adequate security to protect those on its premises, young Adriana Ruiz and her family may seek justice and elect to pursue legal claims for her injuries. Jimmy Jordan, Beloved Coach, Injured in Houston Restaurant Parking Lot Shooting; Security Failure? Did a security failure contribute to this senseless shooting and are justice and compensation available to Mr. Jordan? 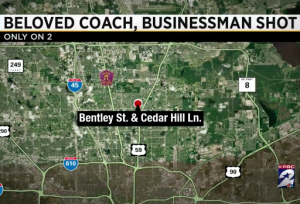 Gunfire erupted outside a “Tex-Mex Restaurant in the 11100 block of Bentley Street” Monday, September 3, 2018, injuring well-known youth coach Jimmy Jordan, according to KPRC 2. Police told KHOU 11, “[o]ne of the suspects approached [Mr. Jordan] and an altercation occurred before the suspect shot [him] and left the scene.” Mr. Jordan was transported to Northwest Medical Center with critical injuries. 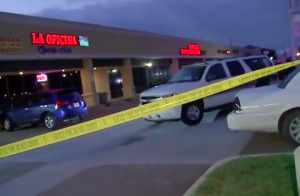 Did negligent security contribute to this Houston restaurant parking lot shooting? We represent individuals and families who have suffered a tragic loss or injury as a consequence of negligent property security. Read Our Legal Take below to find out if Mr. Jordan may have a legal avenue for justice and claims for substantial compensation in Texas, or call now for a free consultation with our legal team: 888.842.1616. Restaurant and parking lot patrons have a right to feel safe and secure while on the premises. The Murray Law Firm questions the level of security provided on the property and whether this shooting may have been prevented. Have there been prior incidents of violence on or near property? What security measures, such as surveillance cameras, bright lighting and security patrols, were in place to deter crime and protect Mr. Jordan at the time of the shooting? Generally, property owners are required to protect all those legally on the premises from any foreseeable harm. Should the facts of this matter reveal that the restaurant owner or management failed to provide adequate security to protect those on its premises, Jimmy Jordan may seek justice and elect to pursue legal claims for his injuries. We’ve Recovered Millions for Victims of Parking Lot Security Negligence…Contact us Now for a Free Consultation. Brandon Payne Critically Injured in Houston Apartment Shooting; Security Failure? Did a security failure contribute to this violent Houston apartment robbery and are justice and compensation available to Mr. Payne? Gunfire erupted “during an attempted robbery” at an apartment complex “in southwest Houston on Thursday, August 9, 2018,” leaving Brandon Payne and Marcus Davidson injured, according to the Houston Chronicle. Police reportedly told CW39, Mr. Payne and Mr. Davidson, both 37, “were standing in the parking lot [of the complex] when two unknown suspects attempted to rob them. During the alleged robbery, [Mr.] Payne was shot multiple times and Davidson was punched in the face.” Their current conditions have not been released. Did negligent security contribute to this senseless shooting? We represent individuals and families who have suffered a tragic loss or injury as a consequence of negligent property security. Read Our Legal Take below to find out if Mr. Payne may have a legal avenue for justice and claims for substantial compensation in Texas, or call now for a free consultation with our legal team: 888.842.1616. Apartment residents and guests have a right to feel safe and secure while on the premises. The Murray Law Firm questions the level of security provided on the property and whether this shooting may have been prevented. Have there been prior incidents of violence on or near property? What security measures, such as fencing, gated entry, surveillance cameras, bright lighting, and security patrols, were in place to deter crime and protect Mr. Payne and Mr. Davidson at the time of the shooting? Generally, property owners are required to protect all those legally on the premises from any foreseeable harm. Should the facts of this matter reveal that the apartment complex owner or management company failed to provide adequate security to protect those on its premises, Brandon Payne may seek justice and elect to pursue legal claims for his injuries. Bryan Escalante, 15, Killed in Houston Apartment Shooting; Was This Tragedy Preventable? Did a security failure contribute to the senseless loss of this Houston boy and are justice and compensation available to Bryan Escalante’s family? Security measures are in question after 15-year-old Bryan Escalante was shot and killed outside a Houston apartment complex Wednesday evening, August 15, 2018. 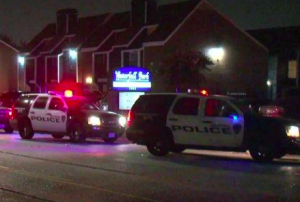 According to ABC 13, gunfire erupted at “[an] Apartment complex in the 4600 block of Sherwood around 7:45 p.m.” The Houston Chronicle reports, Bryan Escalante was shot “during an apparent robbery” in the complex parking lot. Tragically, the young man succumbed to fatal injuries at the scene. 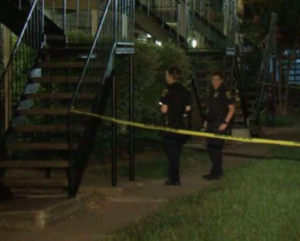 Did negligent security contribute to this Houston apartment shooting? We represent individuals and families who have suffered a tragic loss or injury as a consequence of negligent property security. Read Our Legal Take below to find out if the young victim’s family may have a legal avenue for justice and claims for substantial compensation in Texas, or call now for a free consultation with our legal team: 888.842.1616. How did the assailants gain entry to the complex? What security measures, such as gated entry, surveillance cameras, bright lighting, fencing, and security patrols, were in place to deter crime and protect Mr. Escalante at the time of the shooting? Generally, property owners are required to protect all those legally on the premises from any foreseeable harm. Should the facts of this matter reveal that the apartment complex owner or management company failed to provide adequate security to protect those on its premises, the family of Bryan Escalante may seek justice and elect to pursue legal claims for his wrongful death. Alex Alfaro Killed in Houston Apartment Shooting; Security Lapse? Did a security failure contribute to this violent Houston apartment robbery and are justice and compensation available to Mr. Alfaro’s family? Alex Alfaro was shot and killed during an apparent robbery attempt “at the Waterfall Park Apartments at 7502 Corporate Drive,” Monday, July 30, 2018, according to KPRC 2. Police told The Houston Chronicle, “the fatal shooting stemmed from a possible robbery.” Tragically, Mr. Alfaro succumbed to fatal injuries. Police have not yet identified the gunman. Did negligent security contribute to this senseless loss of life? We represent individuals and families who have suffered a tragic loss or injury as a consequence of negligent property security. 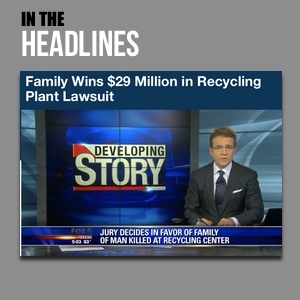 Read Our Legal Take below to find out if Mr. Alfaro’s family may have a legal avenue for justice and claims for substantial compensation in Texas, or call now for a free consultation with our legal team: 888.842.1616. How did the assailant gain access to the property? What security measures, such as gated entry, surveillance cameras, bright lighting, and security patrols, were in place to deter crime and protect Mr. Alfaro at the time of the shooting? Generally, property owners are required to protect all those legally on the premises from any foreseeable harm. Should the facts of this matter reveal that the apartment complex owner or management company failed to provide adequate security to protect those on its premises, the family of Alex Alfaro may seek justice and elect to pursue legal claims their loss. 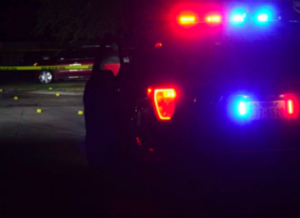 Carlos Lopez Killed in Houston Apartment Shooting; Fatal Security Lapse? Did negligent security contribute to the death of Carlos Lopez and are justice and compensation available to his family? Security measures are in question after 36-year-old Carlos Lopez was reportedly shot and killed during a violent robbery at a west Houston apartment complex Wednesday morning, July 25, 2018. Did negligent security contribute to this senseless loss of life? We represent individuals and families who have suffered a tragic loss or injury as a consequence of negligent property security. Read Our Legal Take below to find out if Carlos Lopez’s family may have a legal avenue for justice and claims for substantial compensation in Texas, or call now for a free consultation with our legal team: 888.842.1616. What security measures, such as gated entry, surveillance cameras, and security patrols, were in place to deter crime and protect Mr. Lopez at the time of the shooting? Media reports indicate Mr. Lopez had to flee to another apartment complex for help. Where was apartment security and management during this critical time? Generally, property owners are required to protect all those legally on the premises from any foreseeable harm. Should the facts of this matter reveal that the apartment complex owner or security company failed to provide adequate security to protect those on its premises, the family of Carlos Lopez may seek justice and elect to pursue legal claims their loss.